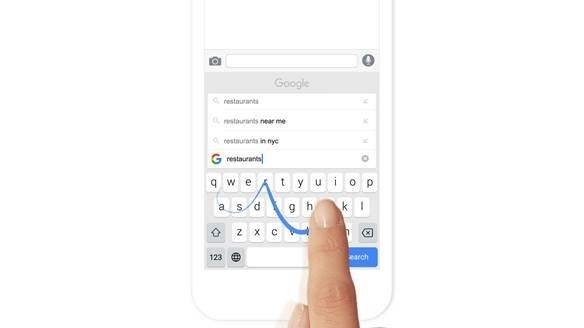 Gboard is a new keyboard for your iPhone. 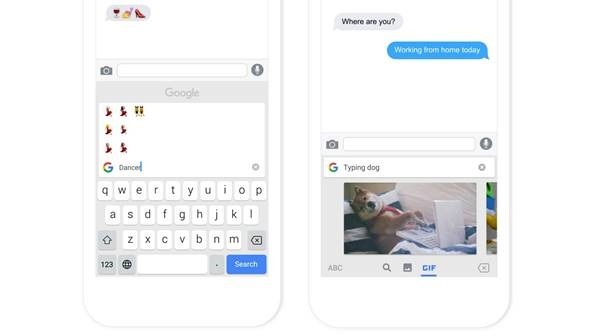 It has all the things you would expect from a great keyboard — GIFs, emojis, and Glide Typing — plus Google Search built right in. No more app switching; just search and send, right from your keyboard. Why would I need Gboard? Searching on your phone can get tedious. For example, say you’re in a messaging app, chatting about dinner plans with a friend. 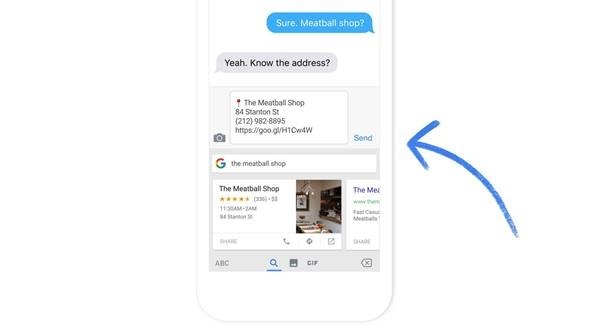 You leave your messaging app, switch to another app to search for a restaurant, then copy-paste the information back into your conversation. With Gboard, you can search and send information right from your keyboard, without having to switch apps back and forth. Plus, find and send the best GIFs and emojis with one tap! How do I set up Gboard? 7. Launch Gboard by bringing up the keyboard (in any app) and tapping on the Globe icon next to the space bar. You may have to tap on this icon a few times if you have several keyboards enabled. How do I use Gboard? Just tap the Google G in your keyboard. Then type what you’re looking for into the search box. *If you don’t see the Google G, long press on the Globe icon next to the space bar to switch to Gboard. What kind of things can I search for? Try searching for things like restaurants, a flight number, images, videos and more. Basically, anything you can search on Google, you can search here. Cool. What do I do next? Once you find the result, just tap the card and paste into the message space to share it right there. No more hunting for that one emoji you can never find. Just tap the emoji icon to search and send emojis and GIFs. We’ve also brought over a popular feature from Android to help you save time when typing. We call it “Glide Typing.” Give it a try by sliding your finger from letter to letter. It gets smarter as you use it and learns how you type. 1) You can search and share contacts without opening the contacts app. Switch on “contacts search” in Gboard search settings to enable. 2) You can move your cursor easily by sliding your finger on the search bar. Give it a try. Why does my Gboard disappear and go back to the iOS keyboard? When you have third-party keyboards on iOS, you sometimes get switched back to the iOS default keyboard. 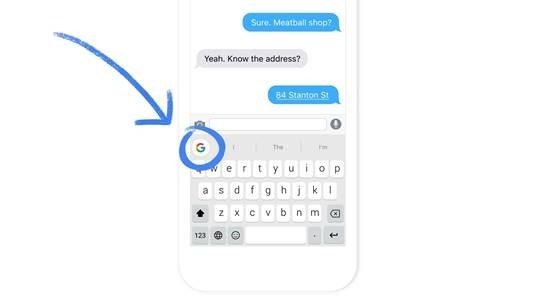 We are working hard to get this resolved, but if you want to get Gboard back, just tap on the globe icon next to the space bar to switch to it. Does Gboard work in other languages? Currently, Gboard supports English US, English UK, English AU, English CA, and English IN. We are planning to add lots more languages in future versions.